Will New Olympic Standards Deter Olympic Dreams For HSers? The Olympic Dream is very real, and it continues to drive the best of high school track and field athletes. I've talked to many of the nation's best athletes over the last couple years, in various states and at various meets, at practices and inside homes, and often when posed with questions about long-term goals, there's a very simple answer: Qualifying for the Olympics. It remains the ultimate prize for a prodigious career before college. Consider this: In 2016, a total of 17 high school athletes or graduates within that calendar season competed at the US Olympic Trials. Two athletes made the team: 16-year-old Sydney McLaughlin earned a bid in the 400mH, while Vashti Cunningham, who turned pro before she graduated, qualified in the high jump. So how will current high schoolers fare with tougher standards? That long-held goal now seems less likely following the release of new Olympic Standards ahead of the World Championships this fall. 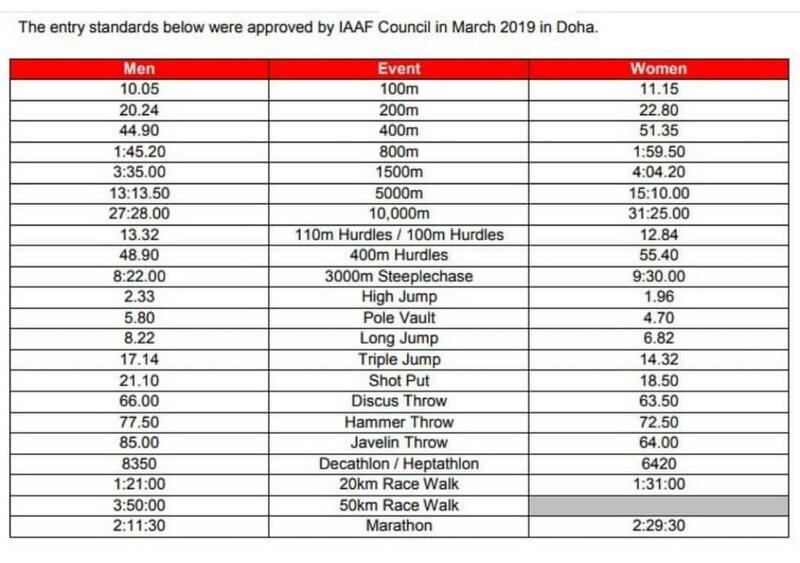 USA Track and Field has said that athletes who qualify for their order to qualify for the Tokyo Olympic Games in 2020, athletes must have hit the Olympic Standard in addition to finishing in the Top 3 at the Trials. Athletes who finish in the Top 3 without the Standard could be leap-frogged onto the Olympic team by a lower finishers with the Standard. Based on the Standards above, getting to Tokyo seems like an unenviable task for young high school athletes (current sophomores and juniors). Even many of our country's brightest stars have yet to hit those marks. The entry point for the Olympics is always a difficult barometer to reach, and it should never be assumed that a young, starry-eyed athlete is in-line-waiting for a bid on the US Olympic Team. At the end of the day, racing and competing exceptionally well against the country's top senior athletes over the course of multiple rounds on multiple days is no easy task. But until at least this season, it hasn't seemed as unlikely for a prodigious teen to reach the Trials as current trends predict. To some, that "dream scenario" is all but squashed by the reality that they would have to chase qualifying times during the high school season prior to the Trials. That means peaking at a much earlier period -- maybe even a few times that cycle and within a training silo -- during the spring track and field season. That would ultimately take the athlete away from their team, away from their day-to-day training with teammates and regular season races. Essentially, athletes would have to choose between sacrificing their high school experience for pursuit of a goal that may realistically be unattainable. 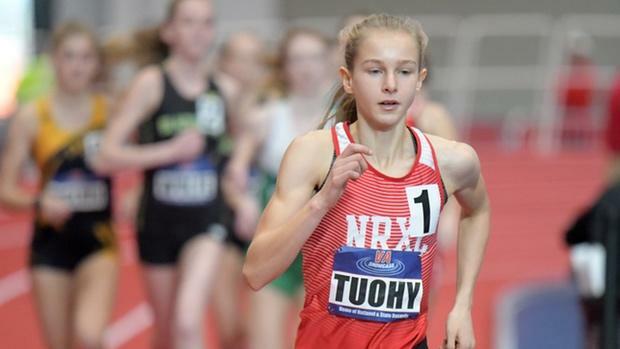 "I don't want to say it's next to impossible, but it's a big ask of a lesser experienced athlete," said Brian Diglio, who coaches Tuohy at North Rockland. "On one hand, I'm fine with that. The women who are capable of doing it will do it and generally have a better shot at the Olympics. Having said that, it takes away from the storyline of a high school kid having a shot." For the rare athlete who dominates in high school, reaches the Trials, and then has a legitimate shot at qualifying for the Olympics, it often reveals something special about their potential. "For someone who's a phenom like Sydney (McLaughlin) or Katelyn (Tuohy), getting to the Trials and going through that is such a different experience than other meets," said Danny Mackey, who's the head coach of the professional distance running group, Brooks Beast. "It's a different animal. It's a totally different animal." Mackey believes earlier experiences can shape an athlete's mindset each cycle. Dreams aren't just dreams anymore but realities. An athlete now has perspective, and you can't simply generate that out-of-the-air. There's something special about competing as a teenager. "By the time she's 28, theoretically, she's at her peak," Mackey said, referring to Tuohy in this example. "If she's gone through three of them and it's her fourth meet, she'll have that wisdom. To take that away (right now), it hurts (USATF)'s chances to have a star athlete." And, at least from a perspective of a country watching from afar, these are the stories that inspire, too. "From a media standpoint, it hurts the sport," Mackey said. "It's a rare and unique thing when an athlete that is mentally and physically gifted can qualify for the Trials. It's hard to do as an adult. For her (or him) to be there and have no shot at making the team, it kills the interest." Mackey said he qualified for the Trials when he was 26, and added of high school athletes, "one thing you don't want to take away from them is the dream. It's not just another race." Other professional coaches, however, have a different viewpoint. "If it's a high school kid trying to run the at the Trials, if they're running for this experience and to make it better for the next time, that's what it should be," said Terrance Mahon, who coaches a professional distance group, Mission Athletics Club, out of San Diego, California. "Some people have some delusions. There are very few high school athletes who could think about making a team like that." Recently, Mahon brought in Josh Hoey and his brother, Jaxon, to the professional group. 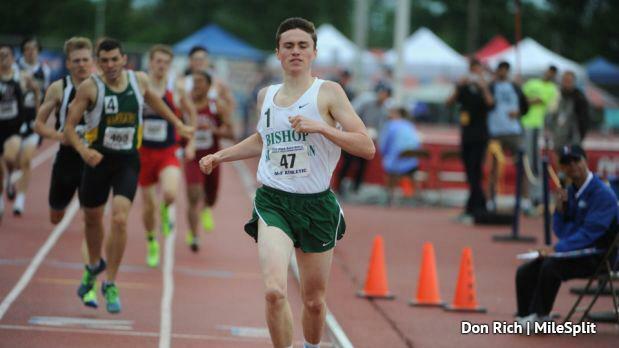 Josh, a graduate of Bishop Shanahan in 2018, forewent his commitment to the University of Oregon in favor of this opportunity with Mahon and adidas, which signed him out of high school. It came after Hoey had scored a new indoor national record of 1:47.67 in the 800m. He later went after the outdoor national record and ultimately hit 1:48 on the clock five separate times. The new qualifying standard in the men's 800m is quite difficult. Hoey, if he qualifies for the Trials, would have to run 1:45.20 beforehand, would need to race well enough through rounds at the Trials to make the final, and then would need to place in the top three. By 2020, Hoey will be 19. Recent New Balance Nationals Indoor high jump champion Morgan Smalls amazed when she went 6-3.25 -- shattering her previous best by over two inches. But will she be able to add two more inches ahead of the Trials? Will that be a singular purpose in training through 2020? Trey Knight is one of the country's top rising throwers in the hammer and discus. Is reaching the Trials, with heavier weight implements, reasonable before he reaches college? Consider Taylor Ewert. Last July at the IAAF World U20 Championships, the young American race walk star lowered her American Junior Record to a staggering 45:57.81 -- four minutes faster than her American Record set just a month previously. With the new Olympic Standard, that time would need to be doubled with nay the fatigue getting in the way. "Either a kid hits the time or they don't," Mahon said. "For a young athlete, you have to look at the long game and not the short game. "What I'm saying is, 'What's an athlete's best chance of development toward that direction?" he added. Diglio and Tuohy's outdoor track and field coach, Kyle Murphy, have maintained that they will keep working toward the long game. They'll focus on constant development as Tuohy, who will be 18 when the Trials arrive in 2020, hopes to keep getting better. But one can't help but wonder just where she'll be at that time, and whether she'll have the race of her life ...and not qualify. "In the back of your mind," Diglio said, "you always think, 'If you get in a race, crazy things can happen at the Trials.' This will take a little bit of that craziness out of that."